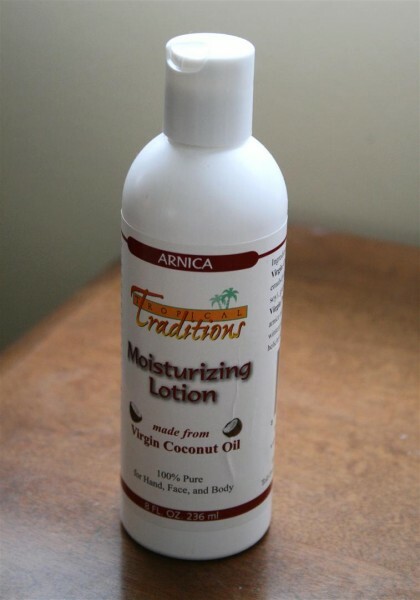 My Favourite Natural Lotion was posted on April 5th, 2012 and is filed under Natural Body Care, Reviews, Vegan. This entry has 95 comments. You can follow any responses through the RSS 2.0 Comment Feed. Today has been a loooong day. This is why this post is not exactly an early morning post like I usually do. I’m running close to the end of two of my courses, so I’ve been very busy researching and working on my final reports. All I can say is…thank goodness the end is in sight. Anyway, as you know I’m doing a bit of series about natural makeup and natural body care, so I wanted to share with you one of my newest favourites. 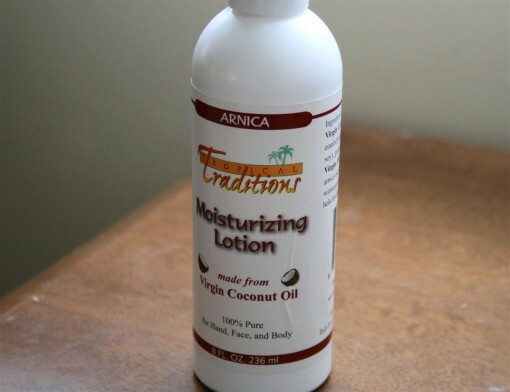 Every single ingredient in this lotion from Tropical Traditions is natural. There’s nothing I can’t pronounce, it’s a short ingredient list, and everything is nourishing and healthy for your skin. In short, I love it. Check out that ingredient list! 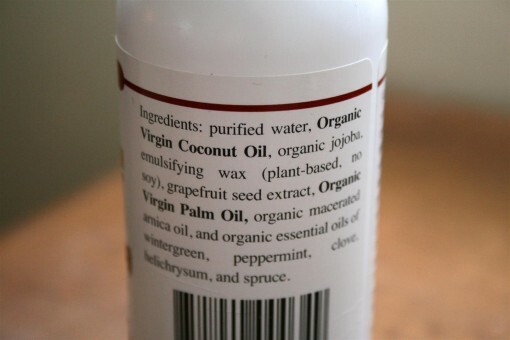 There are no artificial fragrances – no alcohols – and no petroleum products! If you choose to get a scented lotion, the scent comes from essential oils and is actually beneficial to your skin…it’s not that fake stuff. Tropical Traditions (the company we get our coconut oil from!) asked me what kind of lotion I wanted to review, I asked for the Arnica kind, because I heard it was great for healing sore and tired muscles, which is the constant state of my muscles. It’s so moisturizing, sinks in quickly, and doesn’t feel sticky on my skin (like some of my other lotions). I feel really spoiled with this brand and plan on continuing to use it, because it’s amazing. Sorry, I said that already. I just love using pure ingredients. Anyway, you guys get a chance to win a lotion of your choice (check out the different scents of lotion they have!) because Tropical Traditions has offered one of my readers a bottle! Yay! Giveaway closes on the 23d of April! I already subscribe to TT newsletter! Follow tropical traditions on pinterest too! I subscribed to the TT newsletter, can’t wait to start receiving it! I’m following Tropical Traditions on Pinterest! I am subscribed to Tropical Traditions newsletter! I am not following you on twitter and tweeted. Also registered for newsletter. I subscribed to Tropical Traditions newsletter…thanks! I follow Tropical Traditions on Pinterest. I also subscribe to their newsletter now. I also shared this post on facebook. I follow Tropical Traditions on Pinterest as rusthawk. I already am subscribed to TT’s newsletter! I am following tropical traditions on pinterest. I follow TT on pinterest (wm4b). Guess I’m out of luck on the drawing – I don’t tweet. Have no clue how pinterest works …. oh, well! I subscribed to Tropical Traditions newsletter & shared on Facebook! Can’t wait to try this as well as many other items I’ve seen on your site. 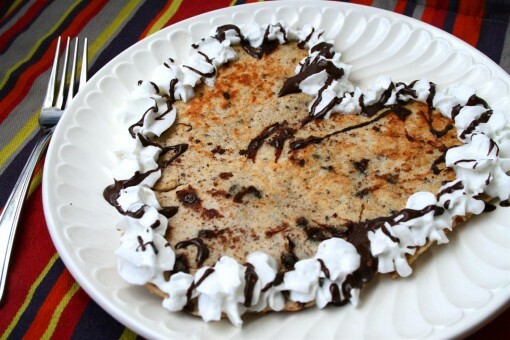 Also, will share this with my son who only puts healthy things in his body. He will more than likely subscribe too. I began following T T on Pinterest. I pinned your caramel popcorn recipe! I follow TT on Pinterest as bekarz. I already follow Tropical Traditions on Pinterest under the name Courtney Tucker username gothlyric! I pinned your orange footscrub post on Pinterest! Shared On facebook under Courtney Tucker!